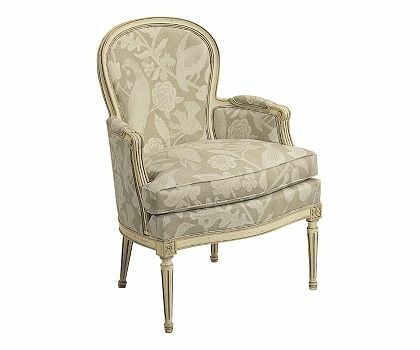 A bergere (pronounced burr-jair) is an upholstered French enclosed armchair which originated in Paris around the 18th century. 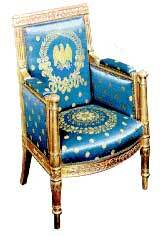 Traditionally styled bergere chairs call for a separate seat cushion. The sides, back & arms are upholstered, but the rest of the frame is left exposed. The frames often exhibit exquisite carving or moulding and may have striking painted finishes in lacquer, gilding or gold or silver leaf. These chairs are generally really comfortable & can be used with an ottoman for a great addition to a family room or master bedroom sitting area. 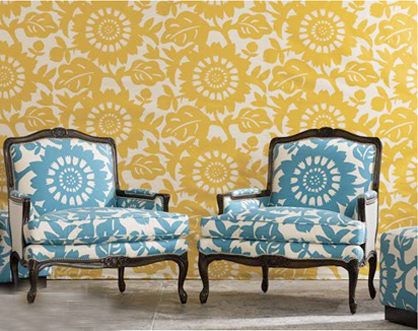 I love how this fun Duralee fabric really brings these bergere chairs to life! 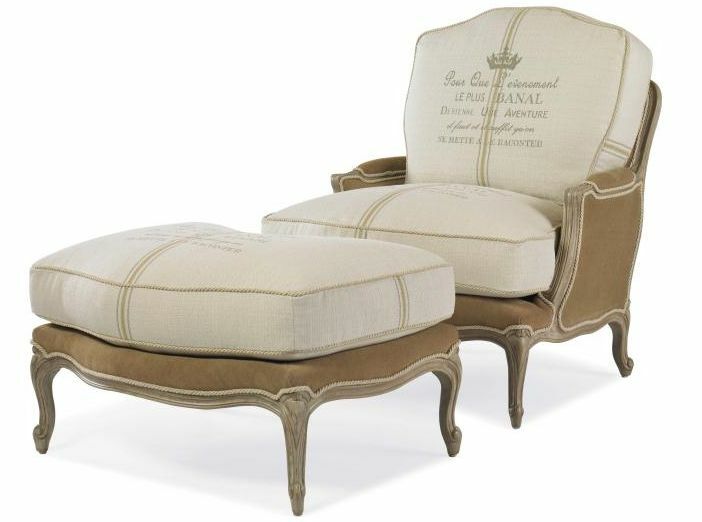 Grand Bergere Chair & Ottoman from Century. 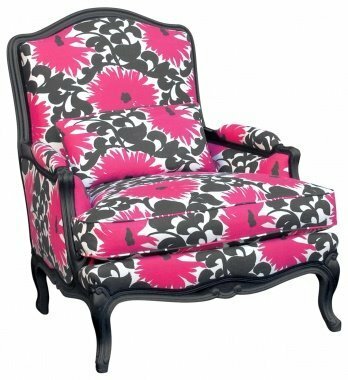 A vibrant hot pink & black gives a playful modern update to this bergere chair in a rich black painted finish. 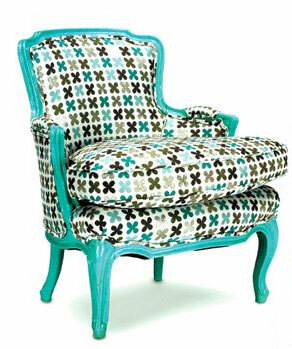 How fun is this bergere in aqua lacquer? I found this intriguing piece over here. 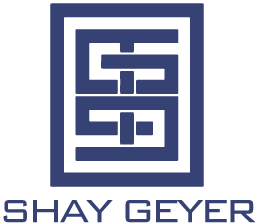 It definitely makes a designer statement. The quatrefoil print on the fabric is to die for! I could totally see this chair in my house.